Secrets Left to Post: 01 pages, 08 secrets from Secret Submission Post #638. Name the fandom. And repeats, etc. Games thread → Thread for games/memes/etc. 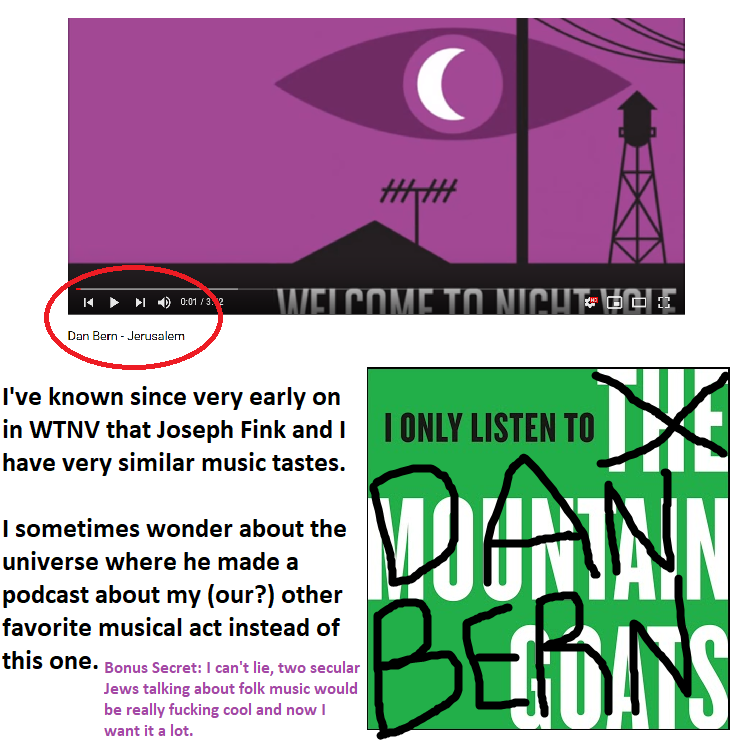 OMG Someone else who not only knows who Dan Bern is, but likes his music!!!! I admit I LOLed, but I agree...that's such a terrible title, considering the context. 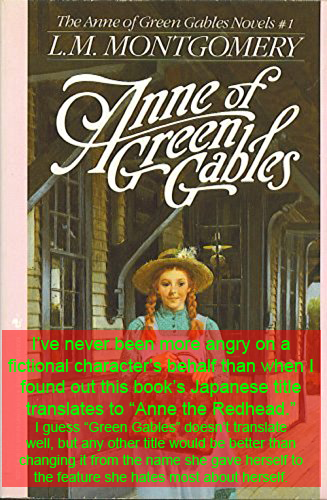 I'm reminded of a more recent book cover that made Anne into a BLONDE girl. Like way to miss the point, guys. This secret confuses me honestly. I don't get depressing from Lord of the Rings at all. Sure, it gets dark. But it is hopeful. And hopeful and depressing are complete opposites, at least as I understand them. Hmm. I'm a huge fan of the shaved sides hair-cut, but the hair on top can't be too long. This is too long. 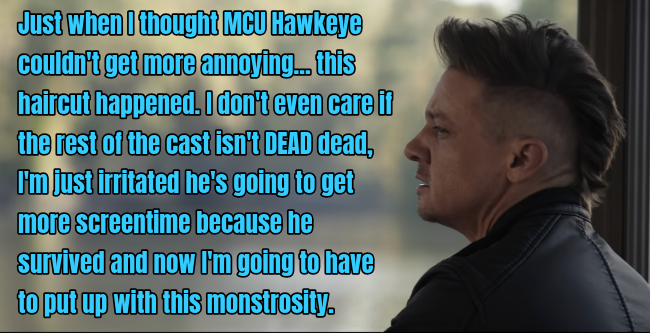 I am shocked that people seriously thought 1) Tony was going to die in space or 2) Steve and Tony were not going to meet up. Apparently his firing was a bit of a mess. 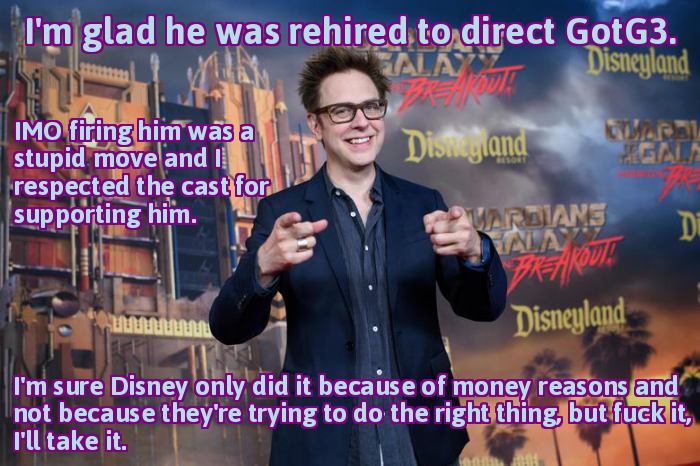 Supposedly it was Bob Iger who fired him because he was told the board of directors unanimously agreed he should be. But it was the huge misunderstanding. Feige had to have several conversations with Horn/Iger to get him rehired.